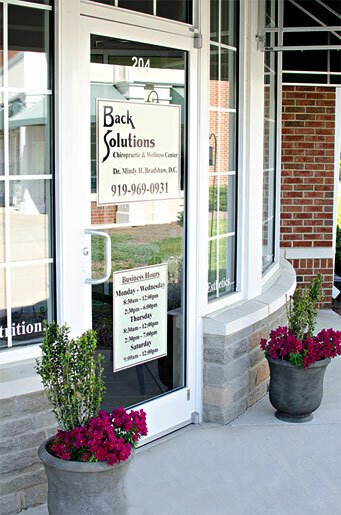 Back Solutions is a full service chiropractic center that provides safe, gentle, and effective care for all ages and injuries. Our goal is to provide each and every patient with superior chiropractic care in a friendly and family oriented environment. We are dedicated to a healthier you for a better tomorrow. This type of care is also known as acute or condition based care, which treats a wide range of injuries and disorders of the musculoskeletal system, involving muscles, ligaments, and joints. These painful conditions often involve or impact the nervous system, leading to referred pain and dysfunction distant to the region of injury. The benefits of chiropractic care extend to general healtyth issues, as well, since our body structure affects our overall function. The Webster Technique is a specific chiropractic adjustment for pregnant mothers. Working to correct sacral misalignments, this technique balances pelvis muscles and ligaments in the women's pelvis, removes constraint and allows the baby to get into the best possible position for birth. Chiropractic adjusting procedures are modified to fit a child's size, weight and unique spinal condition. They are both gentle and specific to the child's developing spinal structures.